3HO member claims succession to Yogi Bhajan as the new "Mahan Tantric"! 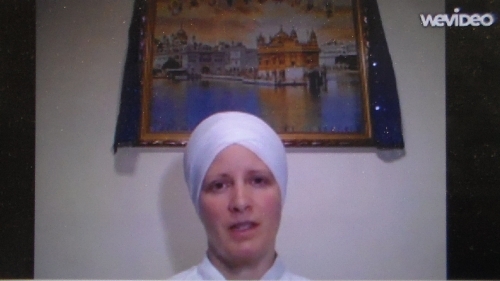 Speaking with delusions of religious grandiosity in front of a painting depicting the Harmandir Sahib (Golden Temple) & the ten Sikh Gurus, Harsimranpreet Kaur (Mahan Tantric Yoga​) says, "I became the Mahan tantric in 2014. I started working with the white tantric facilitators and with the guidance of Guru Dev Snr​. It is time now for me to personally take over the responsibilities of the Mahan Tantric..."
Does Kundalini Yoga cause delusions of religious grandeur?